What’s the style of my home (or room) where the lamp will reside? Your living space is typically a direct reflection of who you are, your personality; so you want to find a table lamp that reflects your personal style. And of course it should complement your decor. What’s the purpose of this table lamp? Will the lamp be used on a night stand, buffet table, work desk, reading niche, entertainment room, living room side table, etc? Knowing the purpose, the specific tasks for your table lamp will help you define the requirements with regard to lamp size, lamp shade type and bulb wattage (brighter or dimmer). When will the table lamp be used and how? Will it be the sole source of light in an otherwise darkened room? Will the lamp be used in conjunction with other lighting sources to illuminate the room? If it’s a lamp to be used during daylight hours as well as during later evening hours, you may want to consider a three-way bulb lamp that allows you to change the illumination level. If the table lamp is used in the bedroom and you don’t want to disturb your sleeping spouse, you may want a lamp that has a swivel shade or head – so you can read and they can sleep without being bothered by the light. What’s the scale of the room and furnishings? 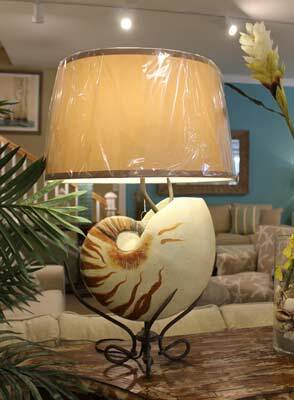 A lamp, like any other piece of decor or furniture, must fit in scale relative to the room it’s residing in. 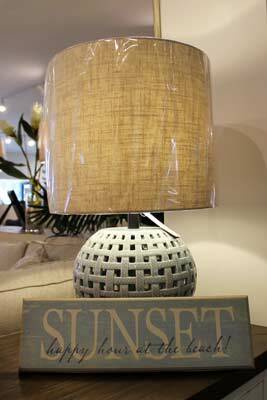 Placing a tall and large shaded table lamp on a delicate and small table will appear visually awkward. 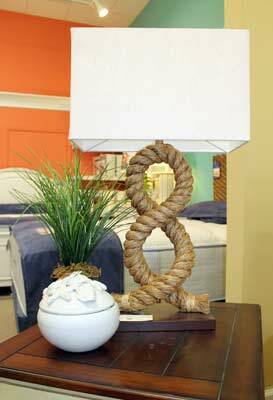 Keep room size and scale in mind when shopping for the table lamp. Also remember that if all of your furniture is big and bold, choose a lamp that fits that profile. Adding a small, thin (anything but bold) lamp to the mix will result in a bad fit. 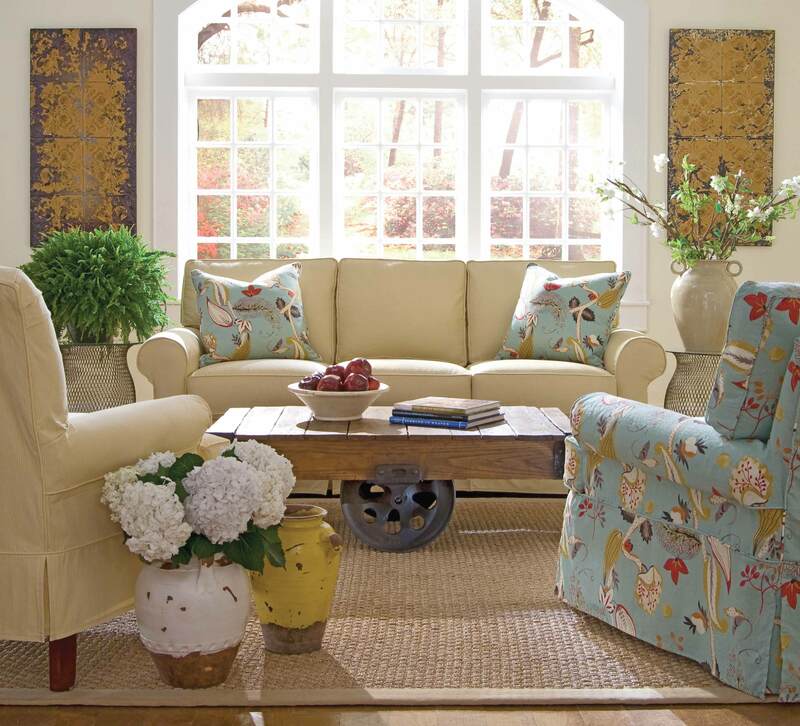 The most common mistake is choosing lamps that are too small. 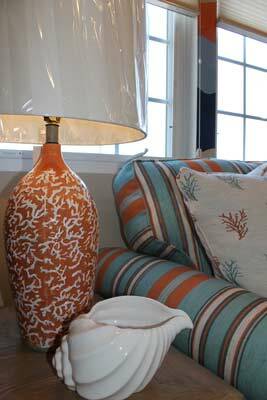 Decorating Tip: When shopping for a table lamp, remember to look for balance. 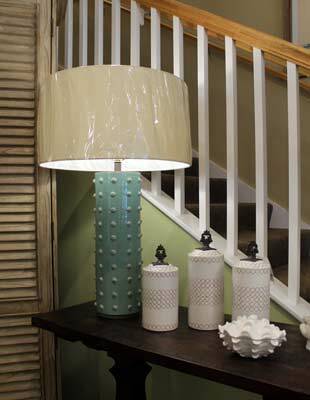 When the lamp shade is placed on the lamp, there should be no top-heaviness (indicator of a lamp shade that is too big for the base) or bottom-heaviness (indicator that the lamp shade is too small for the base). 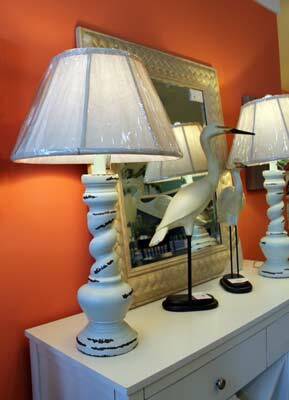 Look for symmetry and balance and you’ll pick the perfect table lamp each time! Kendall’s staff is ready to help if you have any questions about choosing the perfect lighting for your home!